FINALLY! GEETHA GOVINDAM HEROINE'S FRANK STATEMENT ON HER BREAK-UP! 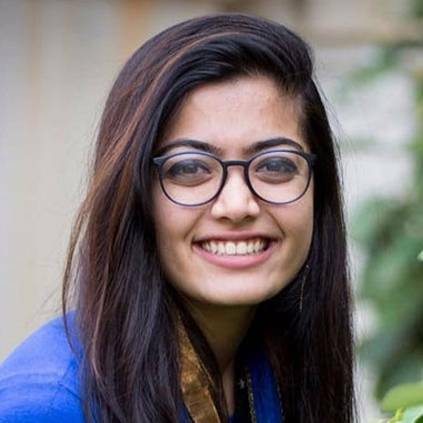 This past week, there have been various reports regarding the split up between actress Rashmika Mandanna of Geetha Govindam fame and Kannada star Rakshit Shetty. Their engagement was called off recently. Following the reports, various rumors started to spread citing different reasons for their break up. Initially, Rakshit opened up with a Facebook post that requested people not to spread wrong details. "Good evening to all. Sorry I've been silent for so long..but I've been watching a lot of stories, articles, comments, and trolls about me..it has been disturbing me on how I was being portrayed and everything blew out of proportion and yes I definitely don't blame you guys for it..because that's what you'd believe and I am not here to justify anything or anyone..just want to tell you guys that Rakshit, me or anyone in the industry should not go through this. And also need to add that just as how every coin has two sides, so does every story. Please let us who work in our industry, work with a little peace of mind. That's my two cents, let me conclude by saying I will CONTINUE DOING KANNADA FILMS.. I AM HERE TO STAY.. be it any language, any industry, I'll give my best shot.. thank you"
People looking for online information on Geetha Govindam, Rakshit shetty, Rashmika Mandanna will find this news story useful.